There’s still a healthy playerbase on COD: Black Ops 3 for PC, with over 8,000 people twitch-shooting each other at the time of writing. Despite there being multiple other games in the series released since, Activision are still trying to make that number grow. Check our list of the best FPS games for more shooty fun. The latest move is the Multiplayer DLC Trial Pack, which lets players sample all the game’s multiplayer DLC for free. You get 30 days with all the extra maps. Activision are obviously hoping those 30 days are enough to sell the DLC to you – at least before everyone finally jumps ship for COD: WW2 later this year. From May 30 at 6pm BST, the DLC maps will all be added into rotation for the month. 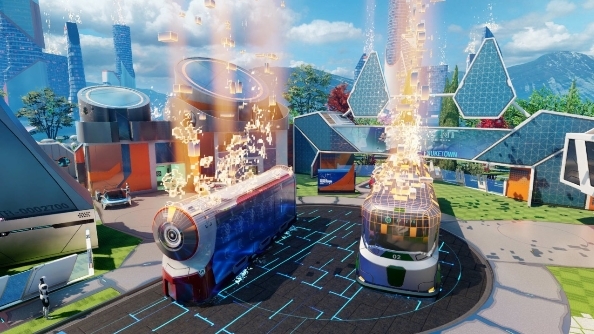 Those who already own the DLC will be treated to double XP for the event’s entirety. The trial will download automatically, but you can opt out if your hard drive is bursting.